Irene May Matthews was born, raised and lived out her life in Vancouver. We are honoured that Irene chose St. Paul’s to be part of her philanthropic legacy. Leaving a charitable gift as part of your estate plan to help the people and families served by St. Paul's provides the satisfaction of knowing you have made a truly meaningful contribution to future generations. Designating a charity as the beneficiary of an existing or new life insurance policy is an effective way to create a lasting legacy of caring that will live on to support future generations. Fund a significant legacy gift by investing a small to moderate amount of personal assets. In order to make a gift of life insurance, contact your insurance agent or financial planner and St. Paul’s Foundation. Working together, we will arrange a gift of insurance that best suits your estate planning priorities. You may already own a life insurance policy which would make a suitable gift or you may wish to purchase a new policy. Purchase of a new policy may require health screening to determine your “insurability.” To make a beneficiary designation on a life insurance policy, it is important that you include the full legal name of the charity. You may designate St. Paul’s Foundation as the beneficiary of an existing life insurance policy. When we receive payment from the insurance company, on the policy, we will issue a charitable tax receipt to your estate. Alternatively, you may transfer ownership of an existing or new policy to St. Paul’s Foundation, provided the policy is a whole life or universal life policy and provided that the Foundation has agreed to accept the policy as a gift. Once the policy is transferred, we will issue a charitable tax receipt to you, each year, following your payment of the annual insurance premium. (We may also be able to issue a charitable tax receipt for the cash surrender value of an existing policy at the time it is transferred to us.) Under this scenario, a tax receipt would not be issued to your estate following death. St. Paul’s Foundation does not sell life insurance policies nor do we accept all policies offered to us as gifts. Please speak with your life insurance agent or financial planner to ensure you understand how your intended gift of a life insurance policy will impact your estate and your current tax status. While we are not able to provide individual legal or accounting advice to individuals who are contemplating a charitable gift in their estate plans, we welcome an opportunity to discuss your intentions for your future gift and to provide additional information about St. Paul’s and the Foundation. 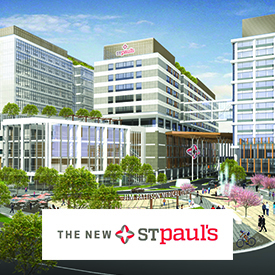 Thank you for considering a future gift for St. Paul’s! 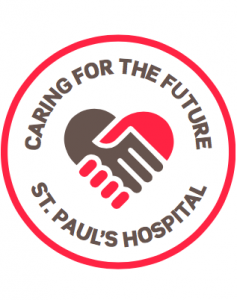 Charitable remainder trusts offer you a guaranteed lifetime income and substantial, immediate tax savings – while supporting patient care, research and teaching at St. Paul’s. You can create a charitable remainder trust by irrevocably transferring assets (usually cash) to a trust and then naming St. Paul’s Hospital Foundation of Vancouver as the recipient of these assets upon your passing. You or another beneficiary will receive the income earned by the trust on these assets during your lifetime or the other beneficiary’s lifetime. After that time, the capital goes to St. Paul’s Foundation of Vancouver. Since the capital of the trust (the original amount you contributed) is not accessible, you are also entitled to an immediate tax receipt for the present value. A gift in will is an effective way to create a lasting legacy of caring that will live on to support future generations. Create tax benefits for the other beneficiaries of your estate. Specific Bequest: Set aside a certain dollar amount or a specific piece of property such as an investment account or a particular stock. As part of making your will, or revising an existing will, you will likely meet with a lawyer or a notary public. In order to leave a charitable gift through your will, it is important that you include the full legal name of the charity. The paragraphs below provide sample language which may be helpful to you and your lawyer as you make or revise your will. I give to St. Paul’s Foundation of Vancouver _____% of the residue of my estate to be used for the greatest needs of St. Paul’s. I give to St. Paul’s Foundation of Vancouver the sum of $______ from my estate to be used for the greatest needs of St. Paul’s. Note: While a gift for our greatest needs allows us to direct your gift to the priority needs of St. Paul’s at the time your estate gift is received; if you prefer to designate your gift to a specific program, please discuss your wishes with us so as to ensure your intentions are clearly communicated. As well, since it is difficult to predict future circumstances, we recommend you include the following “power to vary” paragraph in your Will. I give to St. Paul’s Foundation of Vancouver ______% of the residue of my estate to be used for _______________________________ at St. Paul’s. If in the opinion of the Board of Directors of St. Paul’s Foundation of Vancouver, it should become impossible, inadvisable, or impractical to use this gift for the specified purposes indicated in this my will, then the Board may in its discretion use the gift to the best advantage of St. Paul’s, keeping in mind my original wishes. While we are not able to provide individual legal or accounting advice to individuals who are contemplating a charitable gift in their will, we welcome an opportunity to discuss your intentions for your future gift and to provide additional information about St. Paul’s and the Foundation. Many Canadians are surprised to learn that the assets held in a Registered Retirement Savings Plan (RRSP) or Registered Retirement Income Fund (RRIF) become fully taxable income to a person’s estate in his or her year of death. The income inclusion often creates a large tax bill. If the estate can “rollover” the account balance to a spouse, a dependant, or disabled child, the large tax bill may be postponed. Alternatively, leaving the RRSP or RRIF to a charity will produce a charitable receipt which will offset the tax burden on the donor’s estate. All things being equal, in a choice between leaving a $100,000 unregistered term deposit or a $100,000 RRIF to a charity, your estate beneficiaries will be better off if you leave the RRIF to the charity. Speak with your accountant or financial planner to learn specific details of how your assets will be taxed at death. If you name St. Paul’s Foundation of Vancouver (our legal name) as the direct beneficiary of a RRSP or RRIF, your estate is entitled to a donation receipt for the amount paid out on death. As this asset usually passes directly to the foundation, probate taxes can be avoided and the risk of creditor claims can be minimized. You may designate 100% of your registered account to a charity, such as St. Paul’s Foundation. In order to make a charitable gift through a beneficiary designation for your RRSP or your RRIF, you will need to contact your plan holder – the institution holding your registered retirement account: your bank, investment firm, trust company or insurance company. The plan holder will provide you with the correct beneficiary designation form for your account. (In a few cases, you may be asked to revise your Will in order to make a beneficiary designation.) To make a beneficiary designation it is important that you include the full legal name of the charity. While we are not able to provide individual legal or accounting advice to individuals who are contemplating a charitable gift of RRSPs or RRIFs, we welcome an opportunity to discuss your intentions for your future gift and to provide additional information about St. Paul’s and the Foundation. Our Caring for the Future Society celebrates and engages those who have arranged planned gifts for St. Paul's and who have let us know of their future gifts. Members of the Society receive various publications as well as invitations to public lectures sponsored by St. Paul's and to a variety of Foundation events. If you wish to inform us of your intent to make a planned gift to St. Paul’s Foundation, we would be pleased to recognize you as a member of our Caring for the Future Society. View photos from the 2018 Caring for the Future Society Tea on our Facebook page. 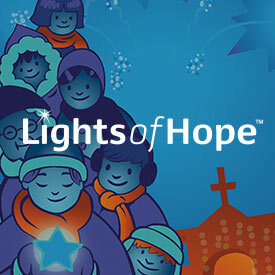 Click the following link to read inspiring stories about some of our donors.